Then bring items in bags and place in containers across from the school office. Please feel free to bring items to STEAM Night (April 20) or have the students drop them off at the start of the school day. 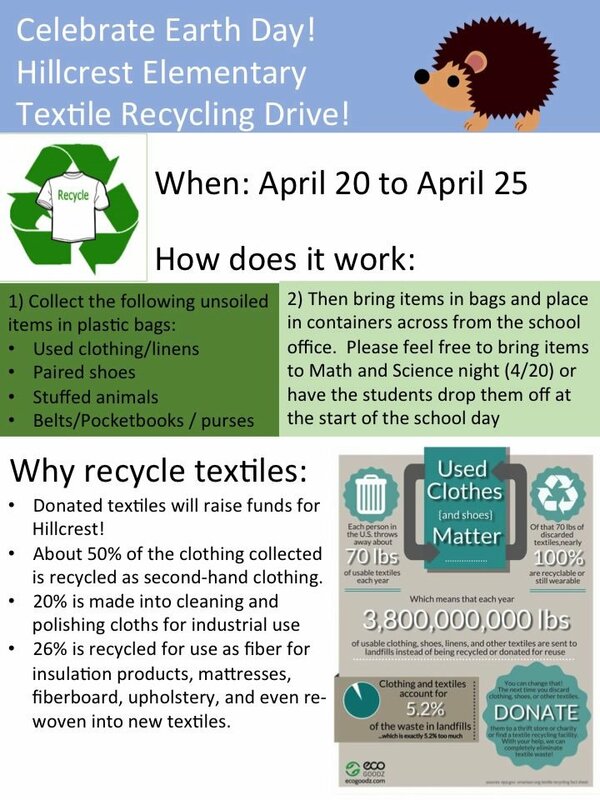 Donated textiles will raise funds for Hillcrest! 26% is recycled for use as fiber for insulation products, mattresses, fiberboard, upholstery, and even rewoven into new textiles.